"Before becoming Christian, I didn't know what hope was out there." Suffering throughout the world is a sad reality. Outside of the light of Christ, it’s easy to understand why some people attempt to squander feelings of depression and hopelessness by fueling their addictions. 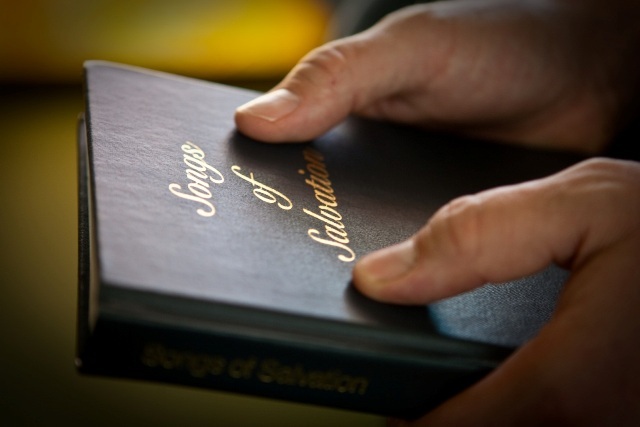 But every day and by your help, employees of The Salvation Army Adult Rehabilitation Centers experience the joy of witnessing the transformation of these individuals. From darkness to light; dependency to sobriety, those who once had nothing now have everything because they have discovered faith and hope through their new life in Christ. Katrina Barndollar of Anaheim, CA can relate. Addicted to drugs since she was 12 years old, Katrina thought she was out of options, until her friend recommended she visit The Salvation Army church in Anaheim called Praise Works. A one-time atheist, involving herself in the church and The Salvation Army’s transitional housing program changed her life in many ways. Along with receiving drug counseling and a two-year low-rent home she could afford, Katrina also qualified for the life-skills program that taught her money management which helped her set goals for eliminating debt. Katrina is now sober and owns a house, but she still has a “home” with her church family with whom she’s incredibly involved. The Salvation Army is committed to helping people just like Katrina get back on track physically so that they are mentally and spiritually capable of receiving newfound hope for this life and the next. William Booth, founder of The Salvation Army, said it best: "No one gets a blessing if they have cold feet and nobody ever got saved while they had a toothache". Do you want to support our Adult Rehabilitation Centers? Did you know that your donations to our family thrift stores help fund these centers nationwide? To learn more about how your donated clothes and items will help change a life, visit www.SATruck.org. See the full article about Katrina’s recovery from The Orange County Register here.